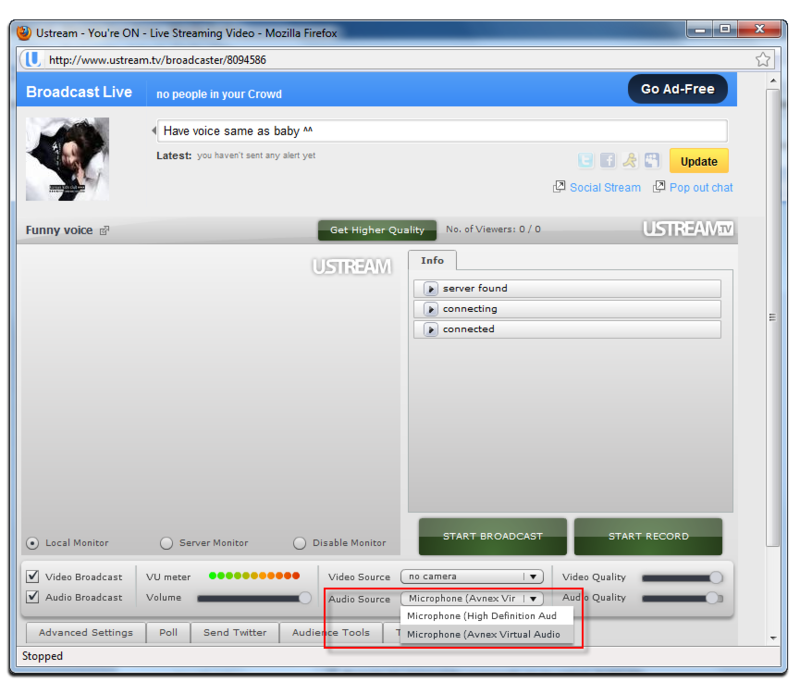 This tutorial will guide you through the way to set up Voice Changer Software Diamond 7.0 (VCSD 7.0) to change your voice in Ustream TV. Ustream is the leading live interactive broadcast platform. Notable Ustream broadcasts include major political events, concerts, conferences, movie premieres, talk shows, sporting events, interactive games, and personal milestones. Return to VCSD 7.0, choose morphing effects for your voice, and make adjustments until you are satisfied with output voice. - Select Broadcast Live in the broadcast live list.